Maine Sen. Susan Collins is among four from the GOP who vote with Democrats, who want a final vote now. 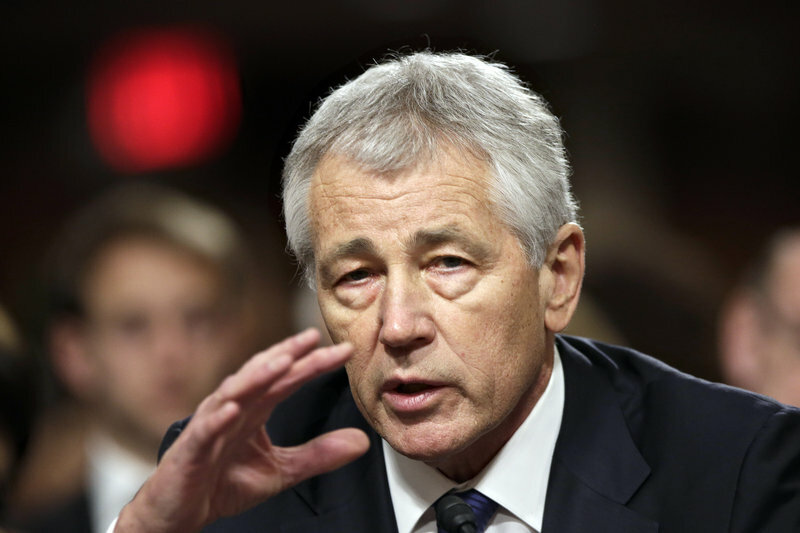 WASHINGTON – Senate Republicans on Thursday blocked the nomination of former GOP senator Chuck Hagel as the nation’s next defense secretary over unrelated questions about President Obama’s actions in the aftermath of the deadly raid on the U.S. diplomatic mission in Libya. Obama accused Republicans of playing politics with national security during wartime, and Democrats vowed to revive the nomination after Congress’ weeklong break. By 58-40, with one abstention, the Senate fell short of the 60-vote threshold required to advance Hagel’s nomination to a final, up-or-down vote on his confirmation. Four Republicans voted with Democrats to end the debate and proceed to a final vote: Sens. Thad Cochran of Mississippi, Lisa Murkowski of Alaska, Susan Collins of Maine and Mike Johanns of Nebraska. “It’s just unfortunate that this kind of politics intrudes at a time when I’m still presiding over a war in Afghanistan and I need a secretary of defense who is coordinating with our allies to make sure that our troops are getting the kind of strategy and mission that they deserve,” the president said in an online chat sponsored by Google. In the final minutes of the tally, Senate Majority Leader Harry Reid, D-Nev., switched his vote from “yes” to “no,” a procedural move that allows him to revive the nomination after the break. He set another vote for Feb. 26. “Just when you thought things couldn’t get worse, it gets worse,” the Democratic leader lamented of the chamber’s bitter partisanship.